The high court has declined to quash the preliminary inquiry ordered by Vigilance Court against former Kerala Vigilance Director Shankar Reddy in bar bribery case. 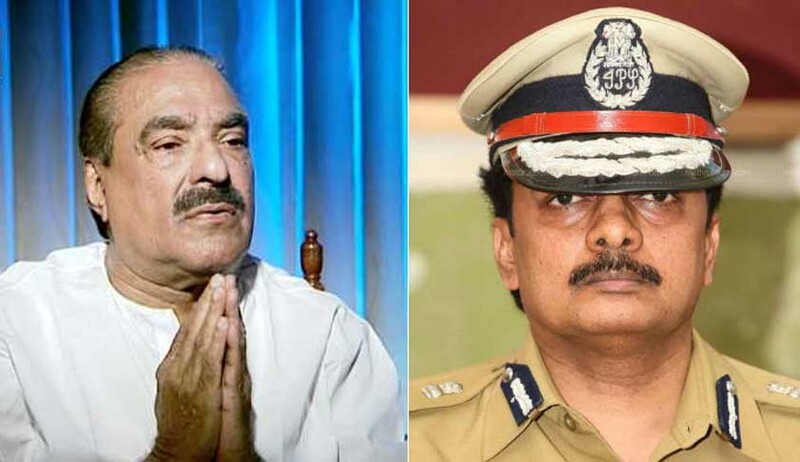 The Kerala High Court has recently held that where allegations are leveled against a senior superior police officer, the complainant, who is an ordinary citizen, being a member of the public cannot be compelled to file the complaint before the police themselves. Justice Kemal Pasha was hearing a petition filed by former Kerala Vigilance Director Shankar Reddy challenging the order of Vigilance Court, by which it has ordered a preliminary inquiry against him for allegedly compelling the investigating officer in bar bribery case to file a report in favour of former finance minister KM Mani. The court has declined to quash the order of Vigilance Court. Taking a cue from the Supreme Court judgment in Priyanka Srivastava v. State of U.P. and others, Advocate C. Unnikrishnan, who appeared for Mr. Reddy, argued that the complainant ought to have approached the police first under Section 154(1) or Section 154(3) CrPC, before approaching the Magistrate with a complaint. But the court observed that this is a case wherein allegations are leveled against a senior superior police officer. The court also said that, even as per Rule 26 of the Criminal Rules of Practice (Kerala), a complaint against a police officer shall not be referred to by a Magistrate under Section 202 CrPC to any person other than a Magistrate subordinate to him. Can a Magistrate summon the Case Diary of another Case for ordering a Preliminary Inquiry? It was also argued that the Vigilance Court had bypassed the contours of all legal provisions by ordering such a preliminary inquiry, after applying his mind to the facts of the case and also in applying his mind on the contents of the case diary of another case. It is argued that the Vigilance Court ought not have called for the case diary in another case and perused it for the purpose of satisfying himself with regard to the correctness of the allegations in the complaint. But the high court observed that there was nothing wrong on the part of the court below in calling for such a document for its perusal to satisfy itself whether such allegations could be leveled against the petitioner or not. Can a Magistrate order Preliminary Inquiry? “True that in Lalita Kumari , the Apex Court was dealing with complaints being filed regarding corruption cases directly before the police. At the same time, the aforesaid mandate contained in Lalita Kumari (Supra) clearly covers a situation of the present kind also. If the information contained in the complaint does not disclose a cognizable offence; but indicates the necessity for an inquiry, a preliminary inquiry may be conducted only to ascertain whether a cognizable offence is disclosed or not. Here, in this particular case, serious allegations have been raised against a senior superior police officer. In such case, the court below was very vigilant in not ordering an investigation under Section 156(3) Cr.P.C. After perusing the case diary, the court below had ordered a preliminary inquiry as per the mandates in Lalita Kumari in order to ascertain whether a cognizable offence is disclosed or not in the complaint”.